Known for his hit songs, Marry Me and Die A Happy Man, this CMA award-winner will be bringing his Life Changes Tour to Sacramento on October 27. Before he arrives, check out what people are saying about his album! 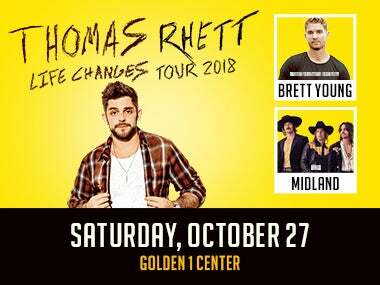 Don't miss your chance to see Thomas Rhett, October 2018!